MILWAUKEE – (May 30, 2017) – New SMART Equipment Controllers (SEC) from Johnson Controls use a smart mobile device interface, giving contractors, engineers and building owners the flexibility to easily access their Johnson Controls water-to-air water source heat pump controls through any Wi-Fi-enabled device and any internet browser. The controllers feature a convenient onboard backlit local display with pushbuttons and BACnet Automatic Discovery support that enables easy integration into any BACnet building automation system. Users commission, configure and access the SMART Equipment Controller through the Johnson Controls Mobile Access Portal (MAP) Gateway. 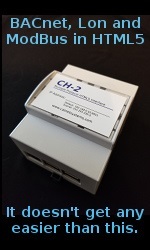 This optional, pocket-sized portable web server and Wi-Fi hot spot automatically discovers all connected devices in a system and allows for faster equipment set-up and commissioning. The SEC features patented proportional adaptive control (P-Adaptive) and pattern recognition adaptive control (PRAC) technologies that provide continuous loop tuning. The controller is ideal for new construction applications, including K-12 education buildings, office/business spaces and hotels. To learn more about the Johnson Controls SMART Equipment Controller, please visit http://www.johnsoncontrols.com/buildings/hvac-equipment/smart-equipment.